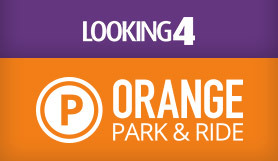 Looking4Parking have teamed up with a a well respected Park and Ride service close to Bristol airport, to offer you a special, available only for a limited amount of time, budget product. The parking is safe, convenient airport parking facilities at very competitive rates. The car park is only a 15 minute transfer away from the airport, the secure car parking compound offers holidaymakers both practicality and peace of mind. All prices are based on max. 5 passengers in car. Each party with more than 5 passengers in car will be charged £3 for every extra passenger. Please print and take your booking confirmation with you on the day of departure. Report to reception with your confirmation e mail and proceed to shuttle bus that will transfer you to the airport. Please head towards the bus pick up point and wait to be transferred back to the car park. (If you are coming from Wales using M49, you need to take M5 from M49 and then take junction 18 and follow the directions below). Take junction 18 on the M5 and follow signs for BRISTOL AIRPORT. Drive for approximately 5 miles. Stay on the A4 signposted BRISTOL AIRPORT. At the Harvest petrol station get in right hand lane for A38. Get into middle lane A37, A4. Go straight through the centre traffic lights (don't turn left or right - don't follow BRISTOL AIRPORT signs, follow sign A4 Hengrove). Stay on this road for approx. 3 minutes until you come to the big roundabout (HENGROVE WAY ROUNDABOUT). Take fourth exit on the roundabout signposted Withywood Bishopsworth (Cater Road Business Park). Drive straight through the next roundabout, WCP – Park & Fly is 50 yards on right hand side in STONEBERRY HOUSE building (Block 28). From the M4 take the junction 19 (M32 Bristol). Take the A4174 Ring road. Stay on the Ring road for approx. 15 minutes and then take A4 Bristol Airport. Turn left at LIDL following A4174 (A37) signposted Bristol Airport – Ring road. Stay on the Ring road and Follow signs Cater Road Business Park, Bristol Airport. When you get to the big roundabout (HENGROVE WAY ROUNDABOUT) don’t follow signs for Bristol Airport but follow signs for Withywood Bishopsworth (Cater Road Business Park) which is third exit. Drive straight through the next roundabout. WCP Park & Fly is 50 yards on right hand side in STONEBERRY HOUSE building (Block 28). From the A4 Bath road drive past Bristol Park & Ride. From Bristol City Football Ground: stay on the A4 signposted BRISTOL AIRPORT. Stay on this road for approx. 3 minutes until you come to the big roundabout (HENGROVE WAY ROUNDABOUT). Head towards Bristol following A38 for approx. 4 miles. Take the third exit on the King’s head pub roundabout signposted Bishopsworth. There will be Bishopsworth police station on your left hand side. Turn right signposted Cater Road Business Park. At the next roundabout take first exit signposted Cater Road Business Park. Drive for approx. 1 minute, LIDL will be on your left. WCP Park & Fly is 50 yards past LIDL on your left hand side in STONEBERRY HOUSE building (Block 28). It is approx. 10 minutes’ drive from Bristol Airport to us.